I hate to eat at restaurants. A food blogger that hates restaurant foods sounds strange, but it's very true. I can list the number of restaurants I have ever thought wow this is great on one hand. Five fingers, that's it. Half of the list has been in other countries, whether for the company, the food or both, I'll never be a hundred percent sure, but they still make my top five. I have a much, much longer list of restaurants I have really disliked. The same restaurants that people have told me are so great, you must try them. I have and they weren't that great. So much of food has to do with the experience, not just the food on the plate. It's hard for one person to have the same feelings for a restaurant as another. Some of my favorite memories are associated with the Thai restaurant growing-up that was near our house. While the food was decent, the memories of eating with my mother makes me remember the restaurant as great. My kids are eating me out of house and home recently. I haven't had as much time online, but I have still been cooking and baking up a storm. Last week I tried a new recipe for Toasty Whole Grain Orange Muffins from the April 2014 issue of Better Homes and Gardens Magazine. This recipe has 14 ingredients. It takes 50 minutes of total time, 35 minutes of which is active. I made two versions of the original recipe, one gluten free and one as written. For the gluten free recipe I used a homemade rice flour blend. For the wheat flour muffins I used all-purpose flour and white whole wheat flour. I found that both sets of muffins worked better cooked at 350 for 25 minutes instead of the 400 degrees for 15 minutes suggested by the recipe. I hate cleaning muffin pans so I used muffin liners on both batches. The clean up is much easier and that way my kids can just grab an individual muffin off the counter. Both types of these muffins turned out well. They were best re-heated with butter or marmalade if you ate them after the first day. Fresh out of the oven the gluten free muffins were perfect and had a great light taste. As with most gluten free baked goods if eaten after the first day they needed to be warmed in the microwave for approximately 15 seconds. My kids really liked the regular muffins and thought they were best with jam and butter. 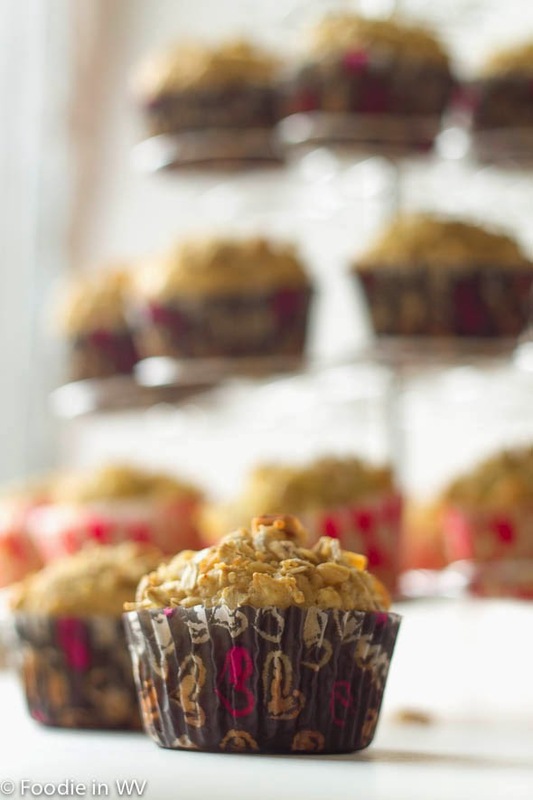 For the recipe go to Toasty Whole Grain Orange Muffins. I don't love to eat out either. I've been very disappointed with many restaurants, especially lately. And the ones I used to love, like Olive Garden, aren't as good as they used to be. 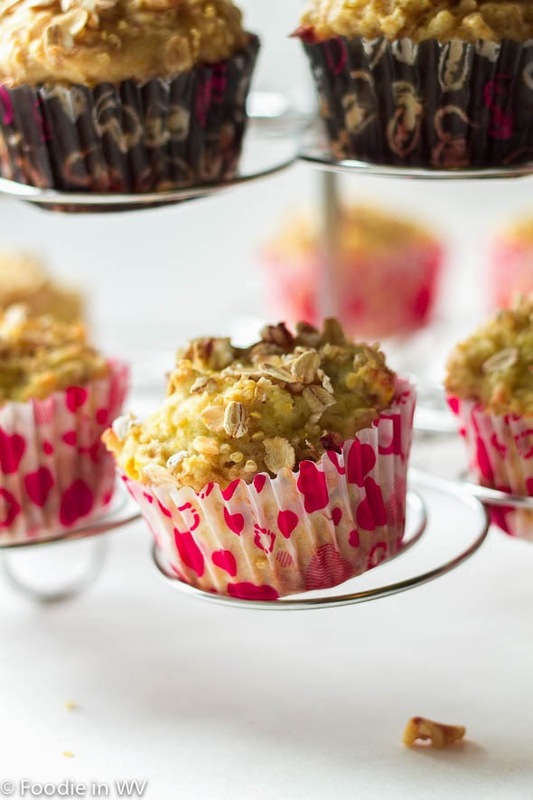 These muffins sound really good and I think my kids would like them. Thanks for sharing the recipe. Glad I'm not alone, I feel the same way :) I agree completely about Olive Garden, it used to be so much better! I do like to eat out, but I am fussy, so we stick to the same restaurants for the most part, too! The muffins look tasty. That topping is appealing. I agree that it can be nice to have a break from cooking and cleaning! I prefer to eat at home...so that I know what's in my plate. Those muffins look awesome. 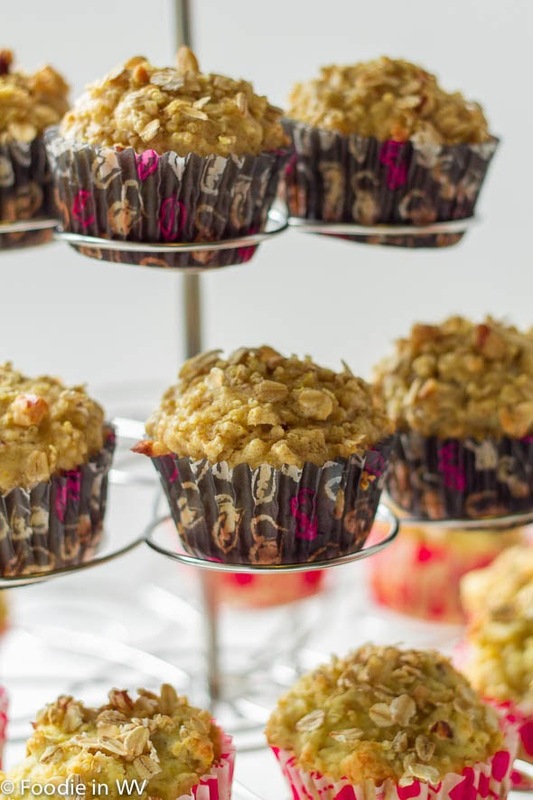 Love your muffin tower! 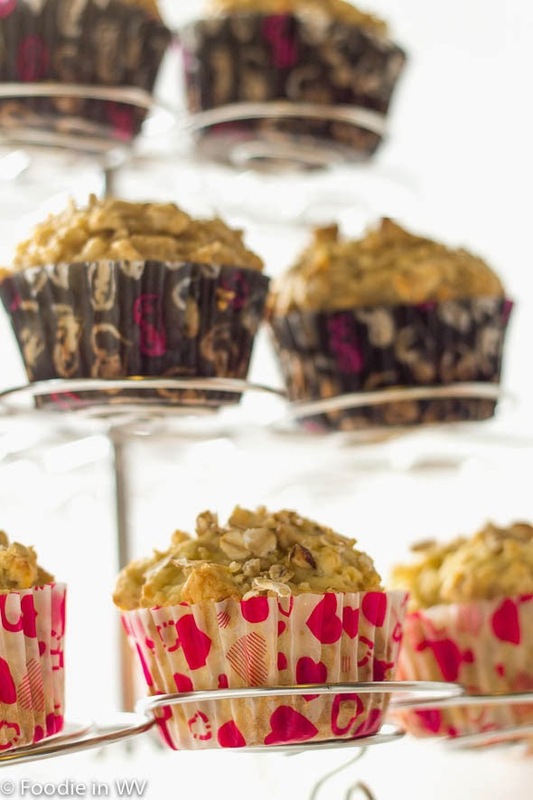 The muffins look really good! Delicious! I enjoy eating out. I shy away from franchise food and enjoy mostly local food experiences.